“Why 24 Hour Fitness is Going to the Mat Against Its Own Employees,” Jessica Goodheart. “Wawa Inks $25M Deal in Challenge to Forced Stock Sell-Off“, Jacklyn Wille. Wawa Inc. agreed to pay $25 million to settle a lawsuit accusing the convenience store and gas station chain of forcing employees to sell their company stock at an unfair price. The settlement will benefit about 2,300 current and former Wawa employees who invested their retirement savings in the privately held company’s stock. Punitive damage awards in any jury trial are rare, but a punitive award against insurance giant MetLife in a trial that ended with compensatory damages in the comparatively small amount of $230,000 is what earned this case the number 5 spot on our list. “Santa Barbara Attorney Wins $15.6 Million from MetLife,” Yamamura, Jean. Plaintiff Had Invested Life Savings in Worthless Securities Promoted by Managing Partner. 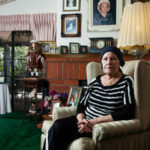 “California Granny Who Lost Life Savings Awarded $15M in Case Against Insurers,” Melley, Brian. “I am so grateful to the jurors for seeing through MetLife’s finger-pointing argument that they weren’t responsible for the loss of my retirement savings,” Ramirez said in a statement issued by her lawyers. “Years after falling victim to a Ponzi scheme, Simi Valley retiree wins $15.6-million judgment,” Koren, James Rufus. Years after losing her retirement savings to a Ponzi scheme run by a Sherman Oaks money manager, Christine Ramirez could soon get it back — and much, much more. “Simi Valley Ponzi scheme victim awarded $15M, MetLife held responsible,” Stych, Anne. A Los Angeles Superior Court jury on Wednesday awarded $15.4 million in damages to a Simi Valley woman for losses she suffered in a Ponzi scheme and found insurance company MetLife liable for the losses. “Unanimous verdict sides with plaintiff in suit against MetLife, awards $15.6 million,” Phaneuf, Taryn. The jury has awarded the plaintiff $15.6 million in the lawsuit against MetLife, its subsidiaries and a former managing partner, holding the insurance giant responsible for the losses of a woman who invested in what turned out to be a Ponzi scheme. “BREAKING: Jury Slams MetLife with $15M Punitive Verdict Over Elderly Investor’s Losses in Ponzi Scheme,” Siegel, David. “Retiree Awarded $15.6 Million in Reported Ponzi Scheme Tied to MetLife“, Finkle, Victoria. A Los Angeles jury late Wednesday said MetLife and two of its affiliates should pay $15.6 million to a woman who said she was swindled in a reported Ponzi scheme that had links to a MetLife insurance agent. 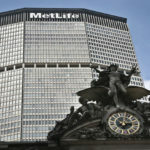 “MetLife, Units Hit With $15M in Punitives for Ponzi Scheme,” Salvatore, Cara. “Simi Valley woman awarded $15.4 million after investing in Ponzi scheme pushed by insurance salesman“, Koren, James Rufus. A Simi Valley retiree was awarded $15.4 million in damages Wednesday after insurance giant MetLife was found liable for losses she suffered in an investment that turned out to be a Ponzi scheme. “Grandma Who Lost Savings Wins $15 Million in Case Against Insurers,” Melley, Brian. A California grandmother who lost her life savings in a real estate investment scam offered by an insurance agent was awarded more than $15 million Wednesday in a lawsuit against MetLife and two subsidiaries, attorneys said. Christine Ramirez told Fox 11 News reporters in a video published August 31, 2016 that justice was done in a recent financial fraud case against MetLife. The Los Angeles Superior Court jury awarded almost $16 million to Ramirez in the case. Watch the video now. Attorneys Richard Donahoo of Donahoo & Associates, PC and Thomas Foley of Foley Bezek Behle & Curtis LLP were co-lead counsel for the case. Richard Donahoo of Donahoo & Associates choked up shortly after he began telling jurors how his client, 75-year-old Christine Ramirez, lost hundreds of thousands of dollars after a MetLife agent convinced her to invest in an alleged scam operation called the Diversified Lending Group. “MetLife Owes for Agents’ Role in $216M Ponzi Scam, Jury Told,” Lowrey, Brandon. A woman who was among hundreds of investors claiming MetLife agents tricked them into buying unregistered securities from an alleged $216 million Ponzi scheme urged a California jury Wednesday to find the insurer liable for her losses, saying MetLife allowed its agents to solicit investors for the scheme. “Attorneys make final arguments in MetLife lawsuit,” Phaneuf, Taryn. 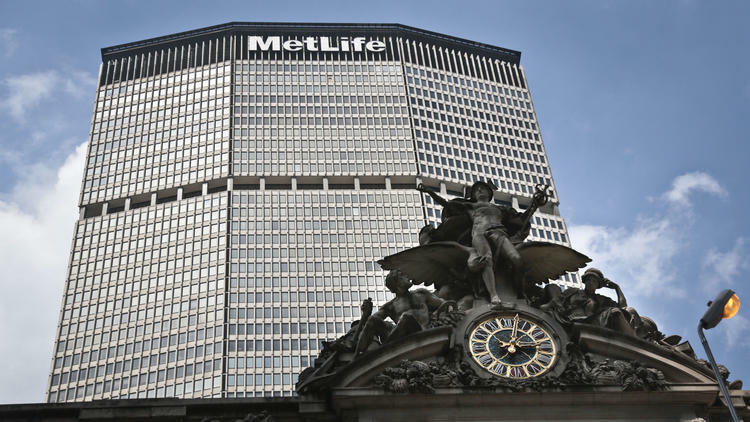 “MetLife Suit Raises Questions of Extent of Corporate Liability,” Finkle, Victoria. “Jury awards $7.4 million to mother injured in crosswalk crash,” Salazar, Denisse. “California Workers Sue Red Light Camera Firm Over Poor Pay, Conditions“. A red light camera vendor may be forced to pay millions in back pay to its employees. A number of them have taken their claim to a San Mateo County courtroom with the dispute creating a rift between American Traffic Solutions (ATS) and the cities that are its customers. “U.S. Increases Scrutiny of Employee-Stock-Ownership Plans,” Simon, Ruth and Needleman, Sarah E.
“Plaintiffs’ attorneys deluge defendants with arbitration cases,” Hautala, Laura. “Public Works and Prevailing Wages: A Primer,” Cooks, Kato. “LA Contractor Can’t Force Arbitration: Calif. Court,” Lipman, Melissa.